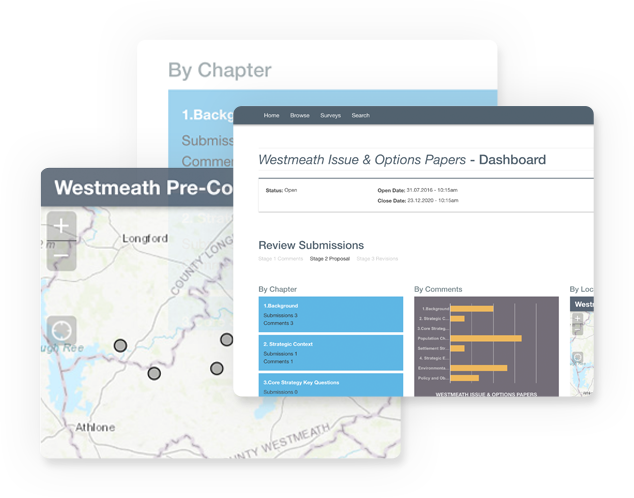 dashboards for you and your stakeholders. 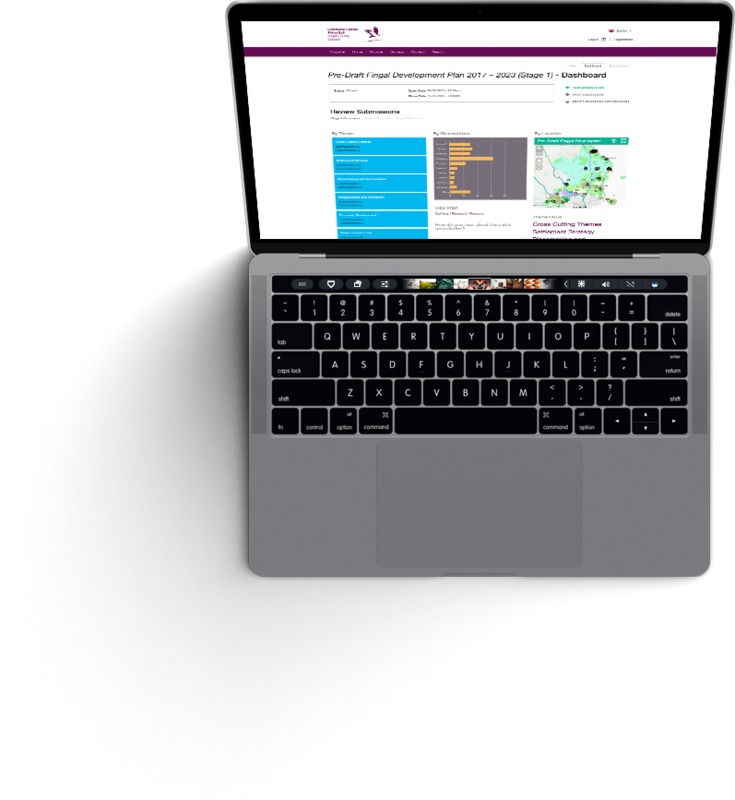 OpenConsult provides you maximum flexibility to open your data and conversations around your consultations. Harness the collective knowledge of your stakeholders for deeper engagement and richer insights. 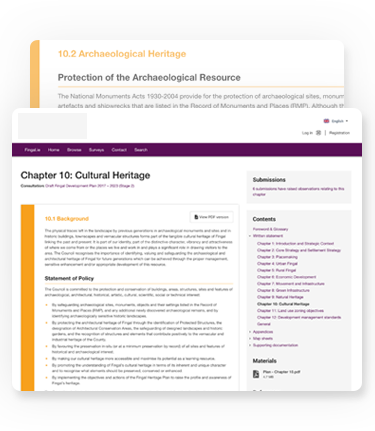 Why publish a large PDF, when you can create an interactive document? With OpenConsult you can create a user and mobile friendly version. This ensures everyone can access the document on the fly, on the bus, including users with visual impairment. 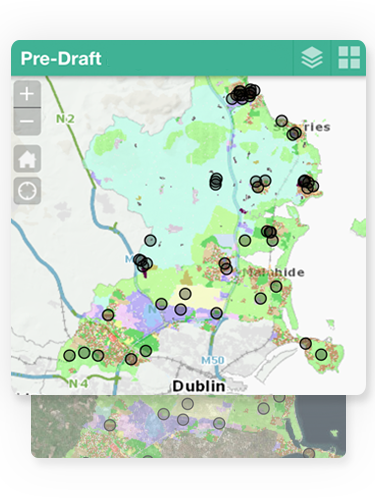 Maps and images can be displayed also accessibly through a viewer. 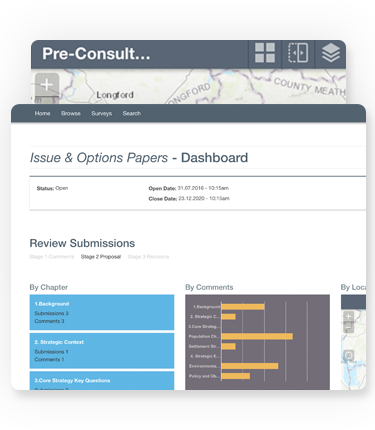 Choose to open your consultation dashboard, query and reporting functionality to your citizens, stakeholders or consultees. Help others to explore feedback and what aspects of your consultation are receiving comments – during the consultation – when it matters most. 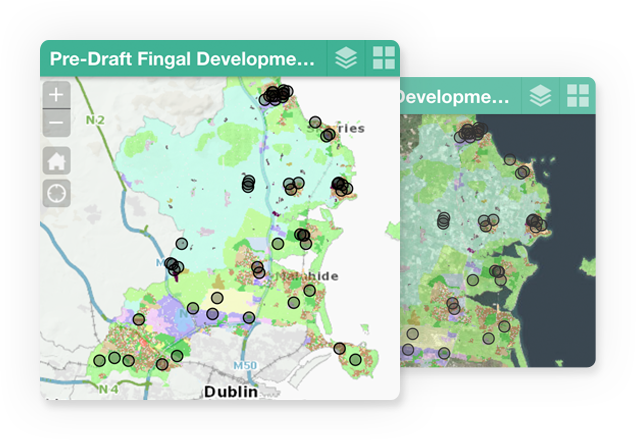 We use CiviQ’s OpenConsult Consultation Portal for all our planning consultations in Kilkenny County Council, and are very happy with it. It’s straightforward to use, both to upload a new consultation and to moderate any open consultations. 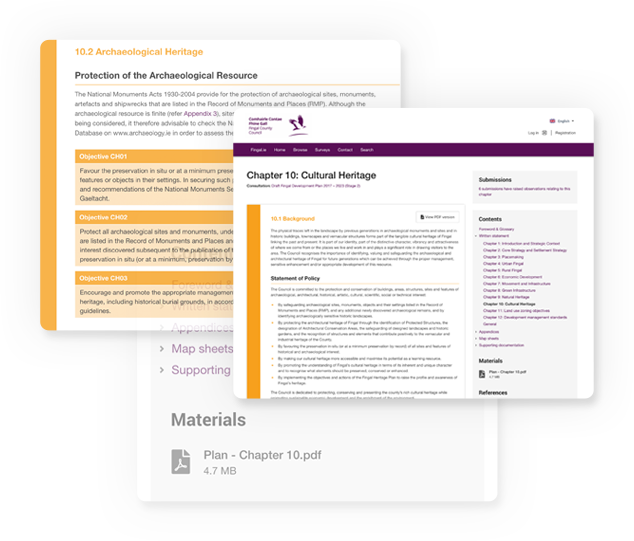 We really welcome the contribution it has made to the transparency of the plan-making process; all submissions are now made available so everyone can see what everyone else is saying.